These tiny little layered treats are such an amazing party treat or any-time dessert. The best way to describe them would be if a batch of brownies, a cheesecake and a cherry pie all fell into a mini cupcake pan and had babies in the oven. 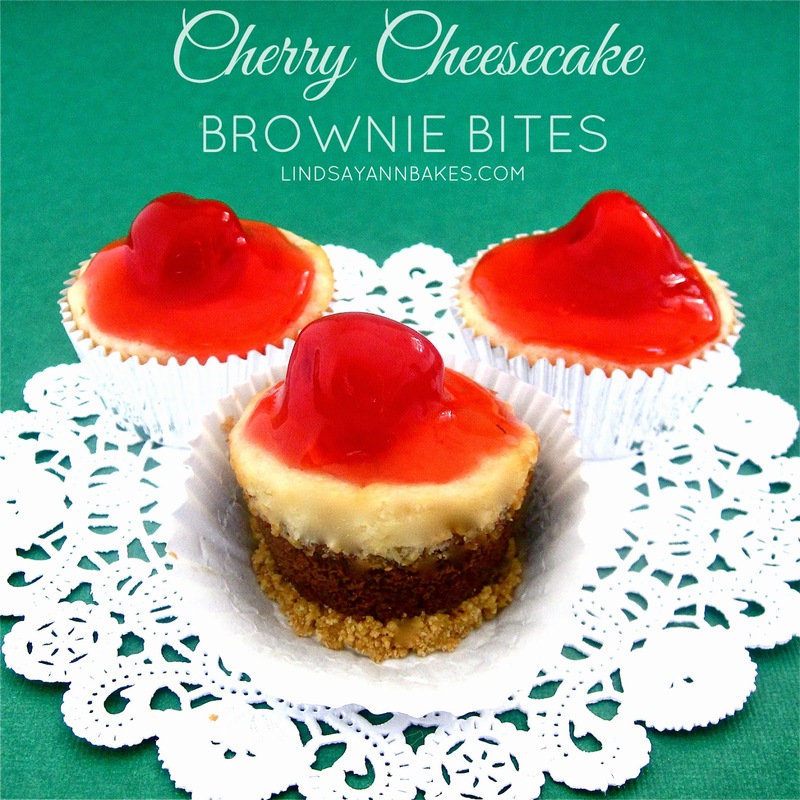 The buttery brown sugar crust is layered with a fudgy chocolate brownie center, topped with rich, creamy cheesecake filling and finished off with a sweet cherry topping... pure decadence! You can even use boxed brownie mix and canned cherry pie filling for a more simple "semi-homemade" alternative with the same stunning presentation! In a small bowl combine graham cracker crumbs, sugar, and melted butter. Press a heaping teaspoon of crust into each of the mini baking cups. 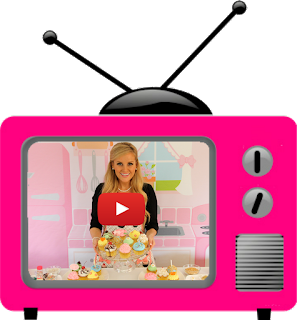 Preheat the oven to 350 degrees F and line a mini cupcake pan with 24 mini baking cups. Stir together melted butter, sugar, cocoa, and salt in a medium mixing bowl. Add the vanilla and egg stirring vigorously until batter is no longer grainy and becomes thick, smooth and shiny. Stir in flour until just incorporated. Fold in chocolate chips. Spoon batter into prepared cups on top of crust. Beat cream cheese on medium speed until smooth. Add sugar, vanilla, and egg and beat until incorporated. Spoon on top of brownie batter. Bake for about bake 10-15 minutes an inserted toothpick comes out with just a few crumbs. Do not over bake. Cool on a wire rack. Use canned pie filling or Combine all ingredients in a saucepan and bring to a boil. Reduce heat to a simmer and stirring constantly, cook until cherry mixture has thickened, about 5-10 minutes. Remove from heat. Mix thoroughly and let cool/thicken. Spoon over cheesecake brownie bites.